Gleðilega þjóðhátíð! | Happy June 17! Hæ hó, 17. júní: Svona flýgur tíminn! Kominn miður júní og langt um liðið síðan ég hef birt myndir eða fréttir á vefnum. Mynd dagsins er af fjögurra-laufa smára sem ég fann 17. júní í fyrra. Það þurfa allir á smá heppni að halda. Áfram Ísland og gleðilega þjóðhátíð! The Icelandic National Day: Time flies! It’s already mid june and I have not posted news or photos for a long time. 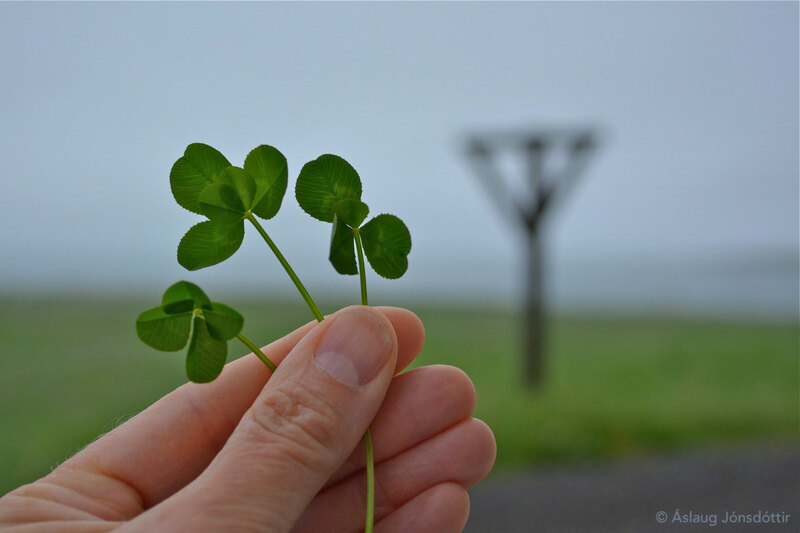 Today is the National Day of Iceland, so this four-leaf clover I found on June 17 last year, will serve as a good luck wish to everyone – including our football team in Moscow! Happy holiday! Happadagur! | My lucky day!